What this industry does is often storyelling, not storytelling. Italian-born Riccardo Giraldi, now Creative Director at B-Reel Products in New York, was our choice to pick the digital content featured in this current issue. In the interview that follows, Michael Weinzettl chats to Riccardo about his career, which has taken him to a host of different countries, and his takes on digital today. L.A.: Hi Riccardo, you originally come from Italy but have lived and worked in Stockholm and London (if I’ve been correctly informed), and are now based in New York. Can you give us a brief overview of your career so far? Riccardo Giraldi: I’m a beardy Italian guy born in a small quiet town in Tuscany called Pistoia, close to Florence. I started my career when it was cool to call yourself “webmaster.” Then I worked as interaction designer in Florence in a research lab called MICC. After my studies I moved to London, where I joined UNIT9 as developer and then as tech lead. After two years, I moved to Stockholm to be part of Helpful Strangers, a small but excellent design studio. After one freezing year in Sweden, I joined Specialmoves in London as Interactive Director to work with clients like Rolex. 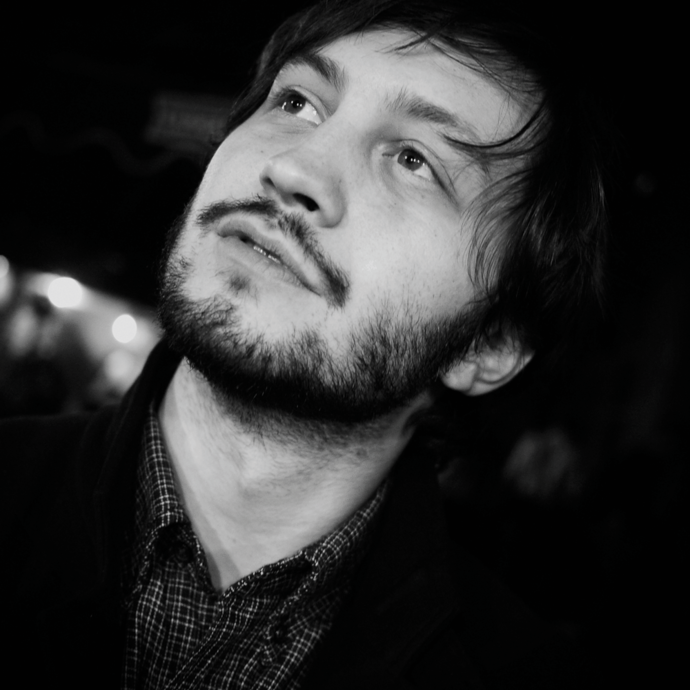 In 2010, I joined B-Reel Digital in London as Creative Director – one of the best choices in my career so far. Today, I’m Creative Director at B-Reel Products in NYC. L.A.: Can you tell us a bit about B-Reel Products, the company at which you’re the CD? What do they do and where does the name come from? 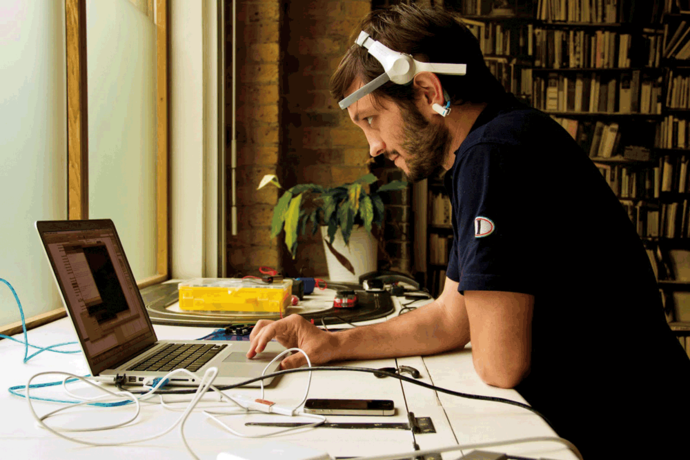 Riccardo Giraldi: B-Reel Products conducts focused experiments to explore new interaction concepts and technologies, with the goal being to innovate in advertising, entertainment, and beyond. It’s a proactive approach where, instead of waiting for a brief, we analyze opportunities and invest in our ideas. We could have called it Labs, but we felt that Products was more appropriate to describe the commercial nature of some of the projects we do. L.A.: When did you first get involved in the digital field? Were you a “computer nerd” growing up in Italy? Riccardo Giraldi: Yes, I guess I was a nerd. Well, in fact I still am. I started playing with computers when my grandpa bought me a Commodore 64 you could use to program in BASIC. Since then, I’ve always been attracted by computers, from playing games to programming, or messing around with the hardware components. L.A.: What was your training like before you got your first job? Riccardo Giraldi: I’m a self-taught programmer. I studied electronics and then Visual Design in Florence. When I joined UNIT9 in London as developer, I didn’t know much about the industry, nor how to work in a big team for productions. But I was very eager to learn. I was lucky to be surrounded by some very nice people who helped me a lot. L.A.: Our magazine is chiefly known for print and film. We added the “Digital” section only a few years ago. So, obviously, we’d be interested in your take on the “future of print”? Is there any? Riccardo Giraldi: I imagine we’ll reach a point in the future where books and magazine will be quite a luxury thing to have. But this will only happen when there are enough screens around to feed content to people anywhere. We are in the middle of that process, which is hard to predict. I don’t think magazines will disappear, but the trend is clear, and probably the same content will be distributed in a slightly different way in the future. L.A.: What about online content? Do you think there will be ever be ways of making money off that directly? Riccardo Giraldi: Yes, absolutely, but just not for everything. We’ll find new balances as things evolve and people will be willing to pay for specific quality content. It’s already happening. We will not be prepared to pay for everything, but only what we really think is relevant for us. Since it’s a global market full of players, you need to be flexible to survive and to specialize to stand out. L.A.: What, in your experience, has been advertising’s attitude to digital? Do you think that the ad industry has now successfully adapted to the importance of digital and social media? Riccardo Giraldi: It took a few years for the industry to take digital seriously. And it’s still a new and evolving field, so the fact that we are not doing it very well yet is not a surprise. Most of the things we see online are created by the industry for the industry; people couldn’t care less. There are only few players and examples where the result is relevant to people. A friend said that what this industry does is often storyelling, not storytelling. I agree. L.A.: Since you’ve worked in several countries and on two continents, do you think this attitude toward digital differs from place to place? Or is everything now so globalized that you encounter the same kind of attitudes and positions everywhere you go? Riccardo Giraldi: Certain markets are definitely more evolved than others when it comes to digital culture. There is a better understanding of the possibilities, and clients are more willing to invest in it. Eventually, these differences will disappear as brands are global and, more and more often, we all tend to be pretty much exposed to the same information and experiences. L.A.: Some ad agencies still prefer to go outside their four walls for digital, while others try to integrate a digital department in their agency. Each option comes with its own set of challenges, doesn’t it? Riccardo Giraldi: When we talk about digital, there is a lack of culture. It’s like saying: “Hey, I need to do something with images,” without specifying whether it’s a movie, a TV commercial, or a photo. First of all, you need to understand what kind of expertise you require to accomplish your idea. As a company, to get a certain quality you need to specialize a bit, and it’s hard to have that kind of specialization in an ad agency. At B-Reel, we have the best talents out there when it comes to combining storytelling and technology. The reason why we can attract these kind of talents is because we are cherry-picked by all the best agencies around the world to execute the best projects. As a result, you can always be busy working on the very best stuff out there. It’s hard to offer the same experience within an agency, where you work on many projects for a few brands, and not all the projects you do have a certain budget or ambition. L.A.: I’ve seen a speech of yours at www.riccardogiraldi.com, where you talk about “The Collaboration Economy,” so obviously good collaboration is key to success in working with agencies, right? But what makes for a good collaboration? Riccardo Giraldi: B-Reel is a Swedish company with a strong Swedish culture. They have embedded in their culture the idea that the collective is more important than the individual. That’s a really good thing for the team. Our structure is very flat and there is a lot of communication internally. At the end of the day, the result depends on the specific people you work with; it’s a matter of trust and relationships. But a good structure helps a lot to facilitate collaboration and hence success. L.A.: What would you say are some of your guiding principles in the way you approach work for any client? What are some of the things you always wish to achieve with your work, regardless of the specific challenges to be taken on? B-Reel is a wordplay for being real. L.A.: What were some of the biggest projects that you’ve been involved in/challenges you have had to overcome during your time in the business? 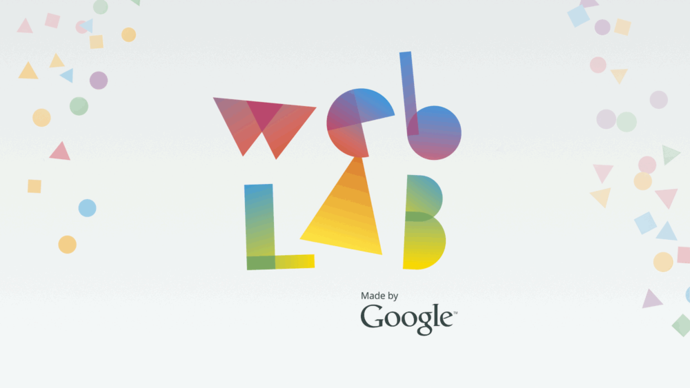 Riccardo Giraldi: The biggest production has been Chrome Web Lab, a collaboration with Google Creative Lab, Science Museum, Tellart, B-Reel, Universal Studio Design, and Bibliotheque. It is an interactive exhibition showing off the magic of the internet that can be accessed both by visitors to the Museum of Science of London and users online from anywhere in the world. L.A.: Were they also the ones you’re most proud of? Riccardo Giraldi: The ones I’m the proudest of are not necessarily the bigger ones, nor the ones that won most awards, but all those that meant something for the audience. Experiences that excited them, inspired them, or made them laugh. Also, those where I could inject something personal, projects that made me grow in one way or another. 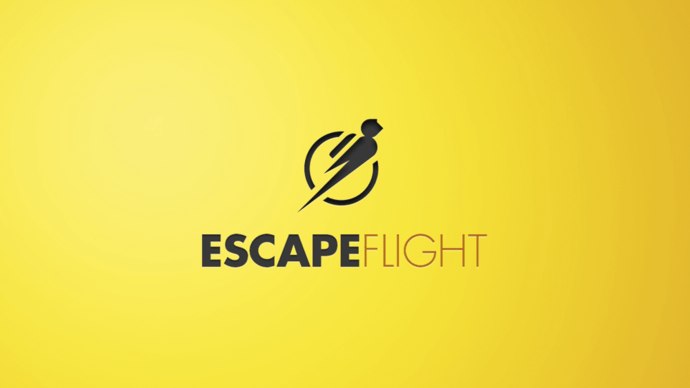 A project I’m particularly proud of is the latest one, called Escape Flight (escapeflight.com). It’s a website that has been specifically designed to inspire people in big cities who are looking for a last-minute weekend getaway. What it does is find the best flights for curated destinations where you could go this weekend, and filter only the good bits based on human factors. We consider the length of the flight, the cost, and the weather, to offer you only the 10 best options out there. 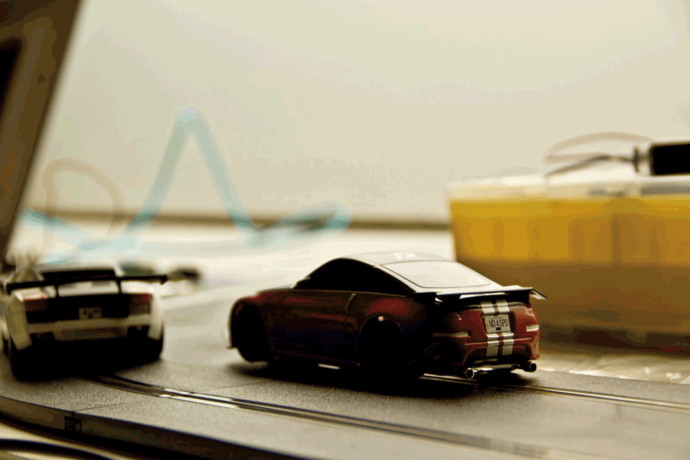 Also, Mind Scalextric came out at an important moment. 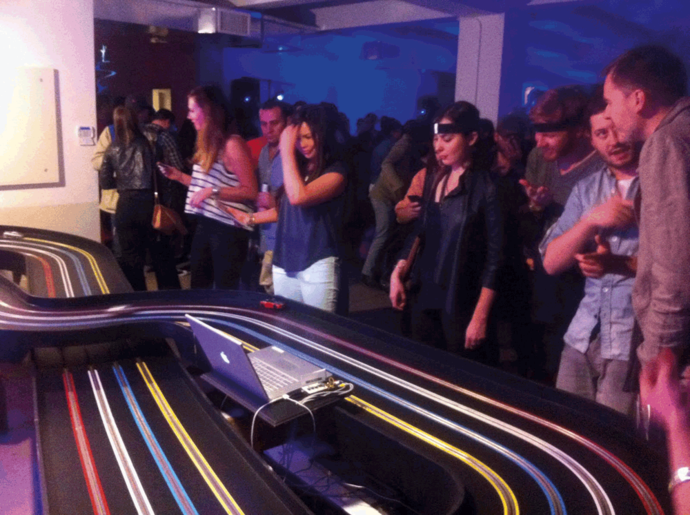 It’s an experiment where people can control slot cars using their mind and attention, instead of the usual controller. The more you focus, the quicker the car goes. We presented this at our party at SXSW; it’s quite interesting to see drunk people trying to focus. L.A.: On your HP, you greet us with a picture of you wearing Google Glass. What did you think of them? Will they be the next big thing? Riccardo Giraldi: Well, to be honest, I think they are not good at the moment. 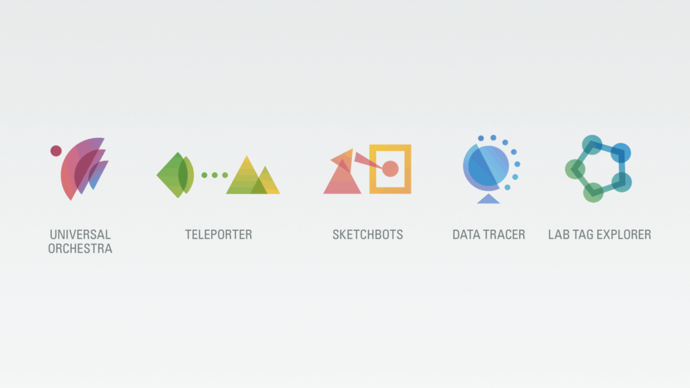 We know that wearable computing is the next big thing; we know that augmenting reality in that way is interesting, and we know that voice command is a very natural interaction. It’s a first release. It’s a symbol and means a lot in terms of positioning for Google, but I wouldn’t recommend anyone to buy them yet. We shall wait for the next version, when some technical issues will be fixed, when the software will be mature, and when, hopefully, some challenges related to human behaviors and natural interaction will be fixed. There are massive social implications in wearing something with a camera in your head. It’s an extremely interesting topic. I could talk about this for hours. L.A.: How do you get your inspiration? What do you need to feed your creativity? Riccardo Giraldi: We are already exposed to a huge amount of information every day. What I sometimes miss is the time to stop and think. All the things we see, hear, share, experience, don’t mean much un-less we give our brain the time to elaborate on them and make an opinion. We need to learn how to filter out all the junk that is out there in terms of information. It’s just noise. Having dinner and wine with friends is very good practice to find inspiration, as is reading a book about a subject I don’t know much about. Also, doing nothing is a good thing. Most of my ideas come when I’m just enjoying some downtime and not in front of a computer. Sleeping is another great thing to do. It gives my brain a chance to just do its thing. L.A.: Can you tell us a bit about the criteria you used when selecting the digital work we’re featuring in this issue of the magazine? Riccardo Giraldi: I’ve selected works that I admire both conceptually and from a production perspective. 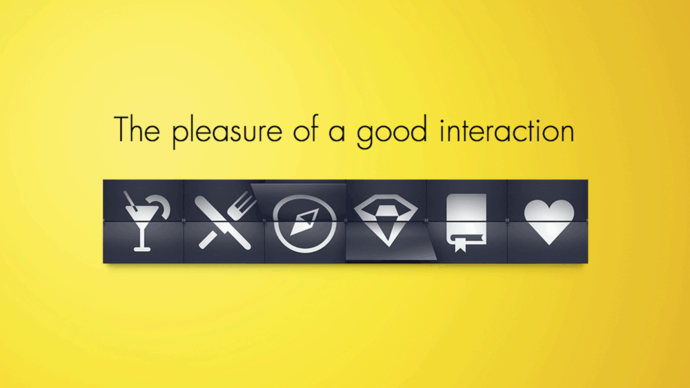 But, more important-ly, these are projects that excited me as a user, gave me some value. Content that felt interesting beyond advertising. 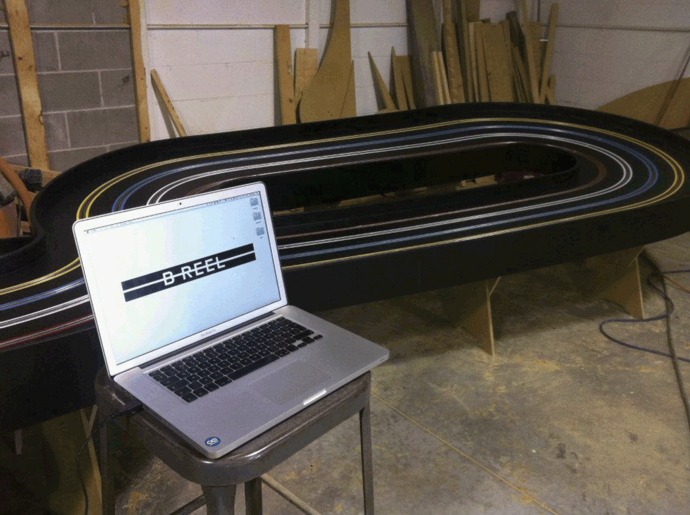 Mind Scalextric is an R&amp;D project developed at B-Reel that brings together different cutting-edge technologies to allow people to control slot cars with the power of their mind. The higher the attention level, the faster the car goes. Riccardo Giraldi, Creative Director at B-Reel, New York. 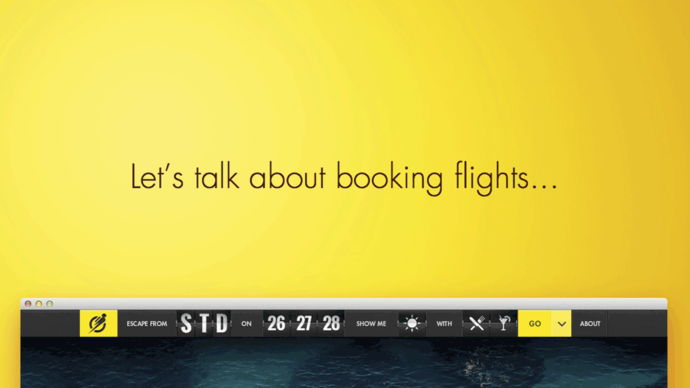 escapeflight.com is a site where users can search for combinations of dates, fares, and other options, such as weather and cultural offerings, thus enabling them to obtain the best results for their own preferred type of last-minute getaway.